As you may have saw, NVIDIA had a few big announcements at CES 2019. 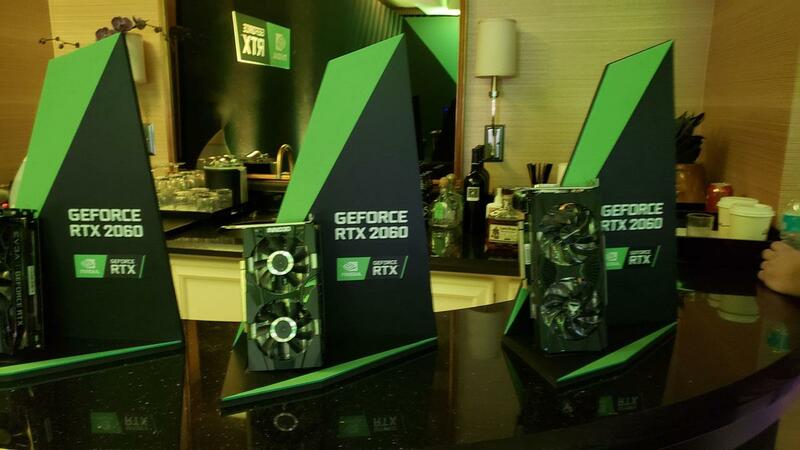 Visiting NVIDIA at their suite in the Wynn, they had rooms to reiterate their message on adaptive V-sync, content creation improvements, and the GeForce RTX 2060. I started off with how the GeForce RTX cards are helping folks not only create content but edit them as well. For streamers who are starting out, one could build a nice little setup using a GeForce RTX 2060 card to game and stream from one computer and lose only up to 4% in performance. Not everyone can afford a dual computer setup to stream and they showed off both a desktop and laptop setup where it was gaming and streaming at the same time using NVIDIA’s software such as NVENC to encode streams at a good quality. Those that want to stream a PC game on the go can easily do so with a GeForce equipped laptop like the new ones equipped with an RTX line. With editing, those that own a NVIDIA card will soon take advantage of SDK updates that allow for RAW RED footage at up to 8K being edited at real time and having GPU enhanced Maya or 3D Studio Max rendering. With setups showing off CPU performance versus GPU performance, it was easy to see how say an RTX card could boost productivity by letting you work without having to wait around for a computer to render a model or buffer footage at high resolutions. Those improvements should be coming soon to the respective software. 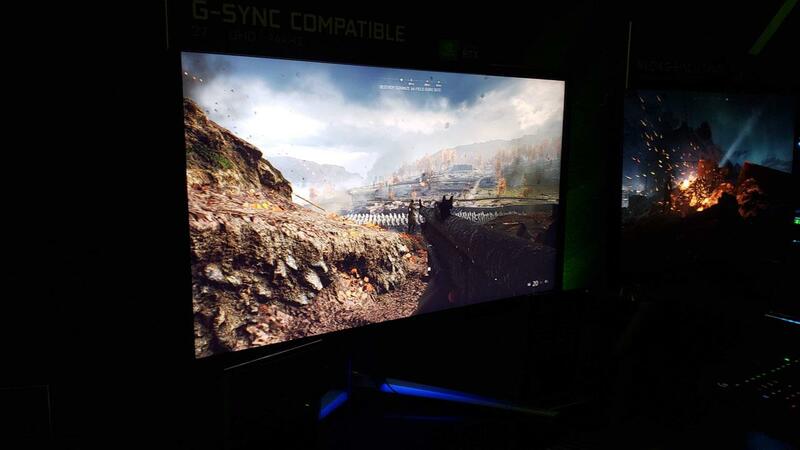 NVIDIA announced that they are testing various adaptive v-sync monitors to see if they were G-SYNC compatible. 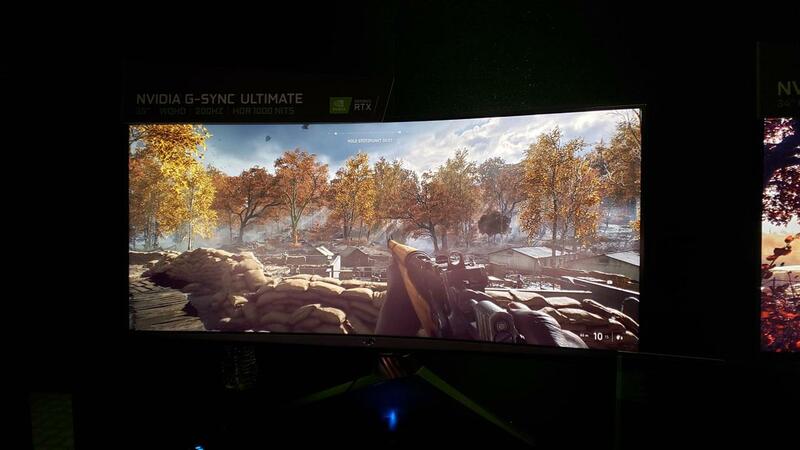 The aim is to let consumers know which monitors are good enough to have great performance with G-SYNC compatibility. 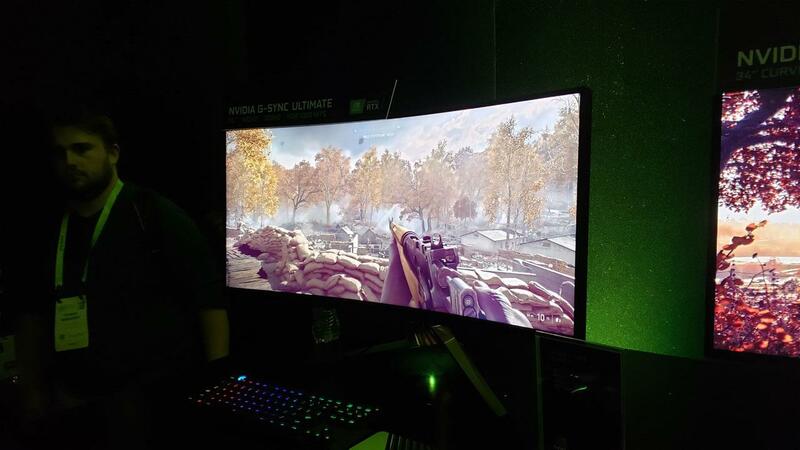 They had some Freesync monitors on display that had issues such as blacking out and weird color banding that while labeled as a Freesync monitor, doesn’t deliver the image quality that gamers deserve. 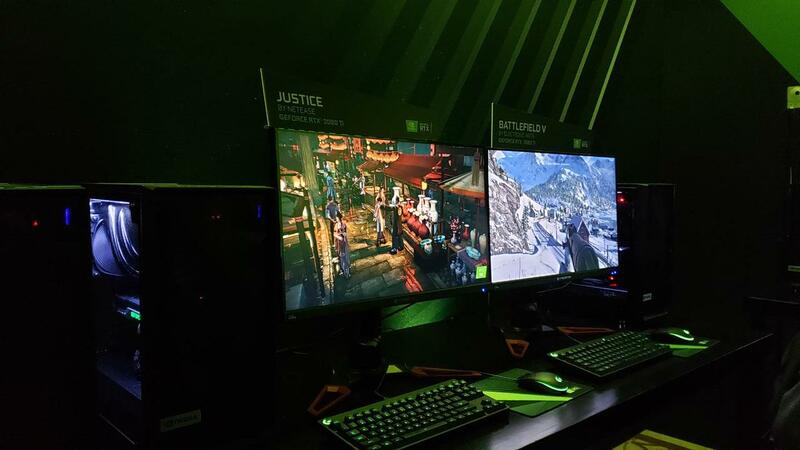 While they aren’t limiting the ability to turn on G-SYNC mode in the upcoming drivers for any monitor, you’ll at least get to know which panels will deliver great gaming performance based on tests that NVIDIA runs. One of the most impressive things in the room was the BFGD unit from HP. The 65” 4K HDR display that can run up to 120Hz was a sight to behold and should be great for those that want smooth, tear-free gaming in a big setting. 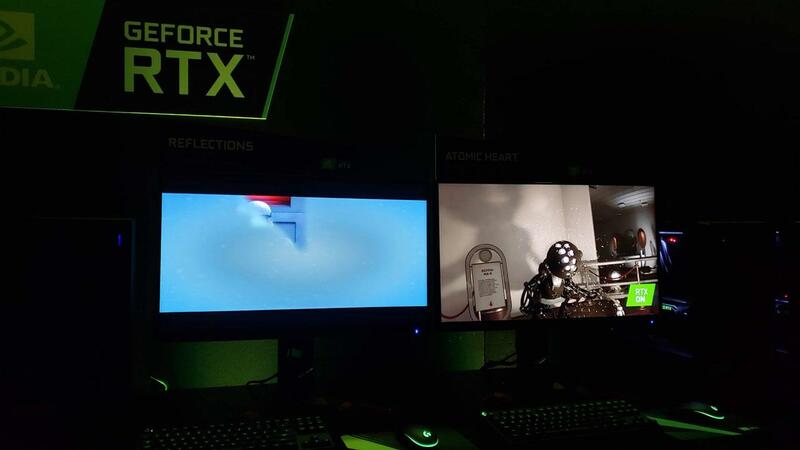 Finally, the GeForce RTX 2060 was on display from various board partners and they had various demos running showing off such things as DLSS and ray-tracing. One of the things I noticed from my visit with other vendors is that some of the GeForce RTX variants didn’t feature the VRLink plug and I was told that it was up to the board partners on whether they include that in or not. All of the Founder’s Edition cards from NVIDIA will have it though so if you’re looking for a card with one in case you are interested in getting a VR HMD in the future that utilizes it, the Founder’s Edition should be on your list. 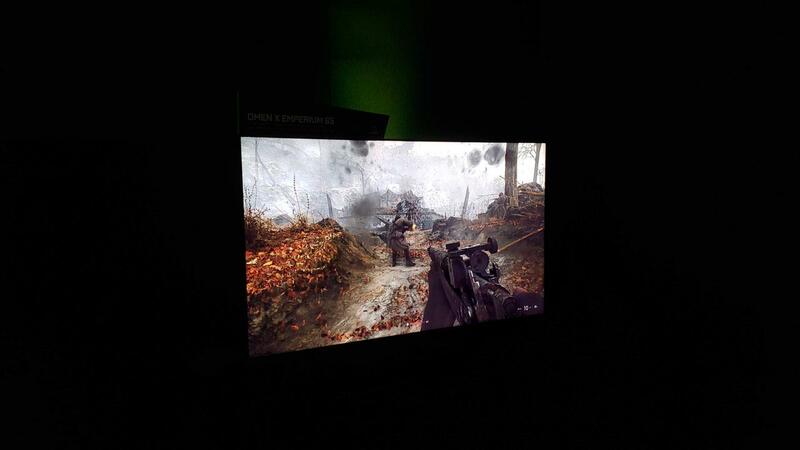 Ray-tracing was shown on such games as Battlefield V and Justice, a MMO in China. 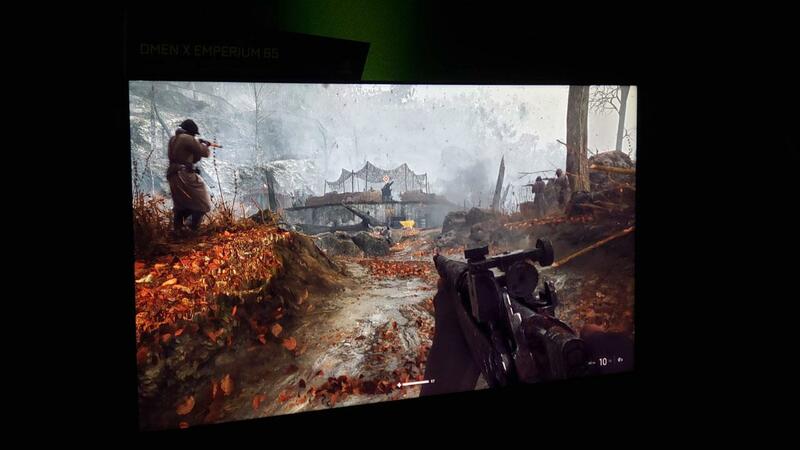 All running on the RTX 2060, the graphics looked amazing. One of the tough things to show is the benefits of ray-tracing and if you don’t see it in person with it on and off, it’s hard to grasp how much it does make things look better in some situations. Combine that with DLSS, it should deliver both solid performance with RT on while providing excellent reflective visuals. 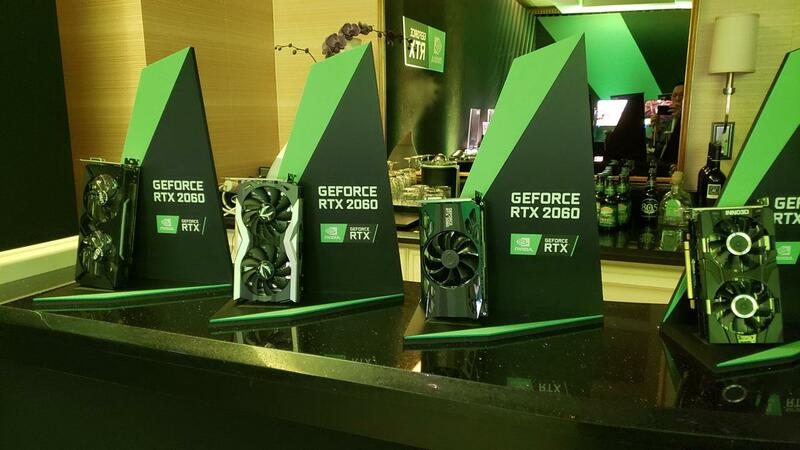 The GeForce RTX 2060 released today at $349 is really reasonably priced and should deliver ray-tracing capabilities to more people out there with the more affordable package. Yes, we do need more games to take advantage of this so hopefully, we’ll get more and more titles coming to really show off the cards. I’m going to keep my eye out on how well the GeForce RTX 2060 sells as I think that’s the card many will pick up to get into the ray-tracing game. 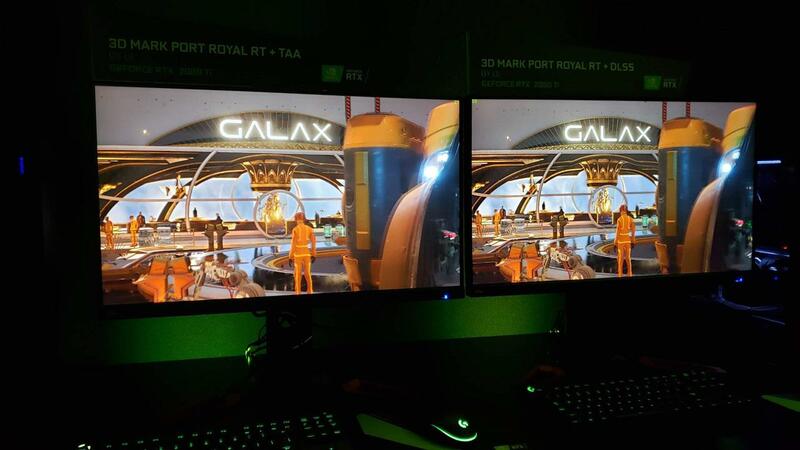 As always, NVIDIA showed off some really great tech demos and had a good showing at CES. 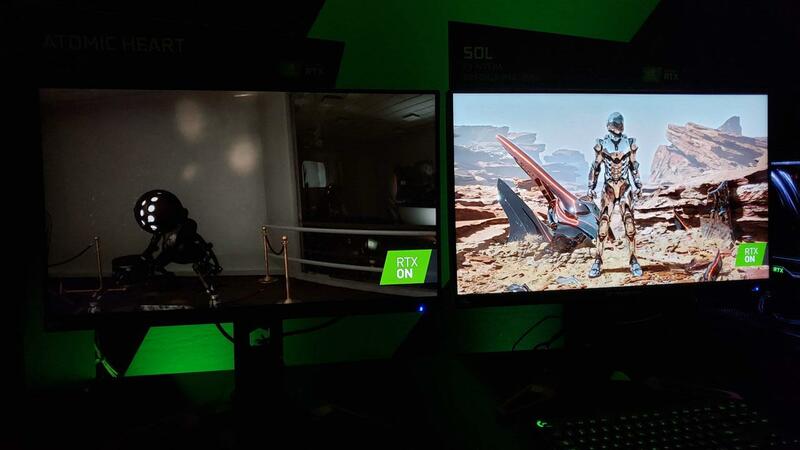 With the announcements of GeForce RTX 2060, G-SYNC Compatible, and content creation improvements, NVIDIA’s looks like they have a solid set of products and services on hand at the beginning of 2019.